Although in many respects, Kenya & India have been similar – third world with its third worldly ways, Nairobi is still VERY different. It is still very green, still closer to nature than the parts of the world I have been to. The trees and flowers that we see on both sides of the road while travelling in car – they are unbelievable. I love the banana trees, palm trees, jacaranda flowers, mega version of cactus (Euphorbia Candelabra), acacia and hundreds of varieties of flora that I do not know the names of. When the big trees near the Nairobi Arboretum were felled to make way for broadening the roads (locals feel serving political top shots trying to leave their mark before 2012 elections), my feelings were mixed. Yes the traffic jams need to be minimized, the roads need to be widened – but the trees that were felled were so big that my heart jumps up every time I see the body less stumps lying on the roads. Hope we chose the lesser evil and hope somebody is planting more trees to make up for the lost ones. Vegetation in Nairobi is quite similar to that in Western Ghats. I could recognize a ton of species: rose (of course – naming it since otherwise may seem like absence), hibiscus, bougainvillea, anthurium, spathiphylum, birds of paradise, geranium, poinsettia, golden duranta, carnation, inverted bell flowers, ficus, fern, bamboo, Kanchan (that's the Bengali and Marathi name, my driver told me the corresponding name in Kiswahili, it sounded like Malaa), commonly found yellow flowers whose name I do not know – the list is end less. Looking at the similarities my thoughts go to travelers across continents across centuries - scattering flora in their paths. These days in Sept, we can see the enormous jacaranda trees blooming everywhere in Nairobi showing off its lavender colors. Our house overlooks the State House (President’s home) back quarters and gardens and I love to see the two lavender collections in the distance peeking from the surrounding greens. 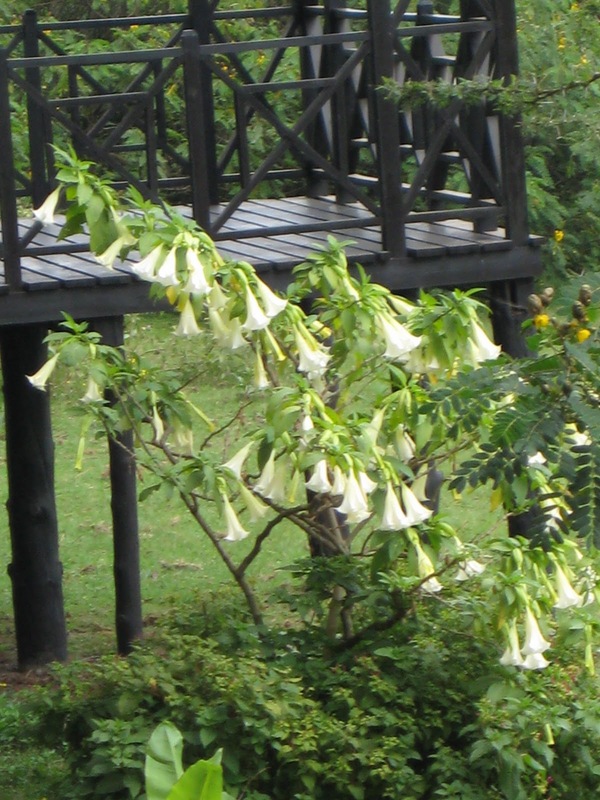 But the vegetation is also very different – especially if we move away from Nairobi. 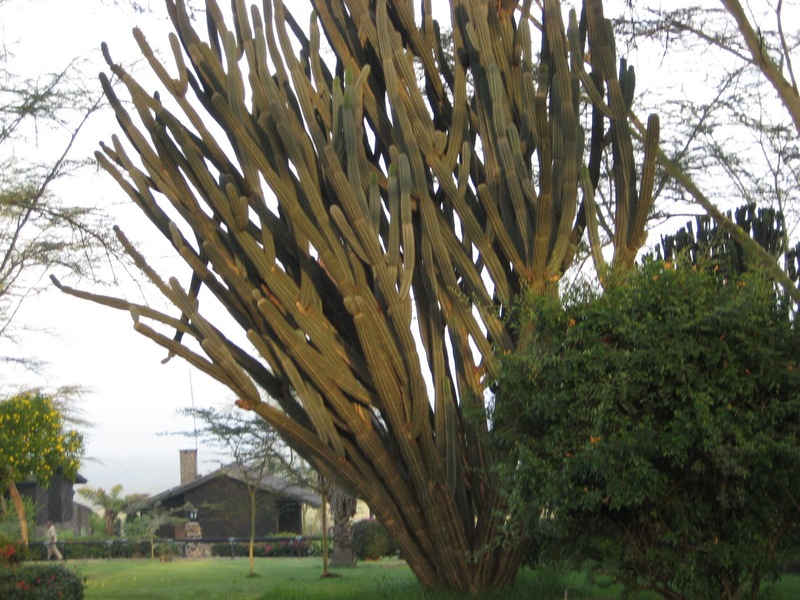 One of the revelations of the world (among string of revelations and still counting) was this super sized cactus, later got it identified as Euphorbia Candelabra. After knowing the name, I can think it as a candelabra, but that is not what first came to my mind. 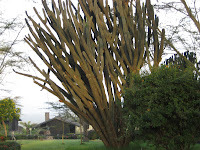 A cactus like tree can grow to such heights and widths was not part of our knowledge bank, so imagine our surprise when we see this in threes or fours near Nairobi Arboretum. And then we see them on our way to Nakuru – continuous chain dotting the entire roadside. Now my research tells me that the latex is very toxic and dangerous to eyes and open wounds. 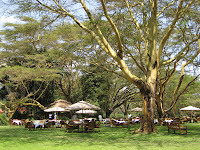 And how can I not mention the yellow bark of acacia, the color distinctly bright yellow in the jungles, though can definitely make out the yellow shade in Nairobi as well. The thorns I am told are part of evolutionary changes to ward off vegan animals – cannot confirm on the veracity though (but have seen giraffes eating their leaves, may be giraffes were cleverer in their evolutionary adaptation). 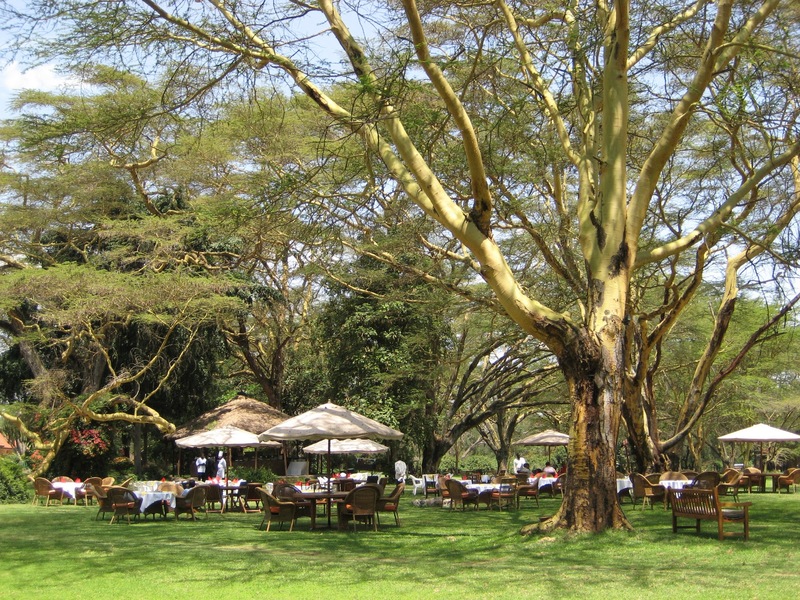 The umbrella shape of big trees like acacia is not what we are usually familiar with in India. 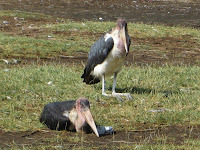 The two birds that are synonymous with Nairobi for me are Hadada (or Hadeda) Ibis and Marabau Stork (needed to do a bit of research to get to know the names though) – forget the lowly sparrows and crows. First day at service apartment (after three days of nature sound proof hotel life) and you hear these “haa-da-daa” cries all over the place. We were wondering what these could be – not ducks for sure. In a few days I could spot some on building tops and related the cries to in flight calls – finally could put a face to a sound. Every day since then I guess I would have heard these calls multiple times a day - especially at dusk (I guess too sleepy to realize at dawn). 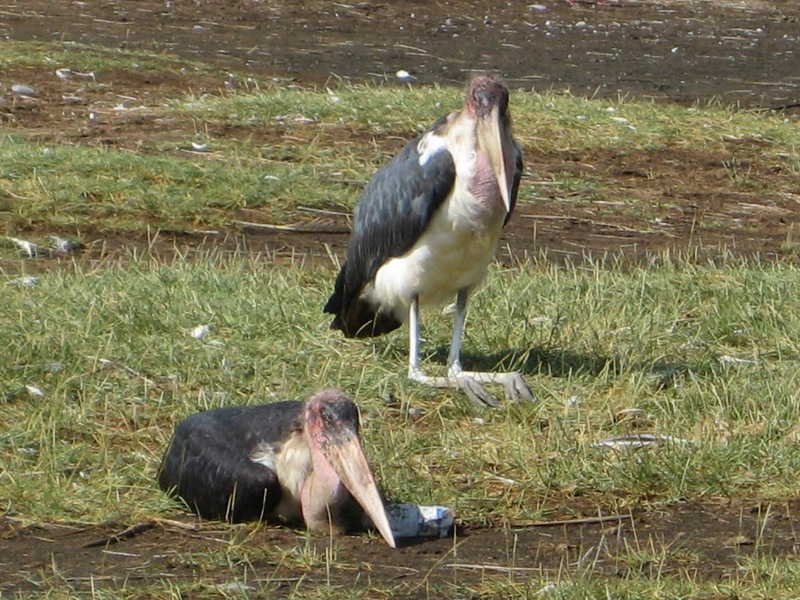 The second bird is Marabau Stork – big scavenger like – can’t say very pretty. We were really excited to see these big birds with pouches hanging from their necks on tree tops on the Mombasa Road (unseen sight in other cities so far in our experience). But I guess it is a healthy sign for a city to have nature scavengers scanning for left over from its trees. We have read so much about vultures vanishing from Indian cities and what ugliness they can cause by their absence. I am wiser from the time I wrote this piece on the blog and thought I will share my wisdom with all. 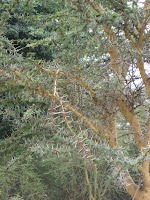 There are multiple types of acacia. One of them is the Umbrella Thorn Acacia widespread throughout eastern and southern Africa – this is what we have seen in plenty in wooded grasslands of Maasai Mara. 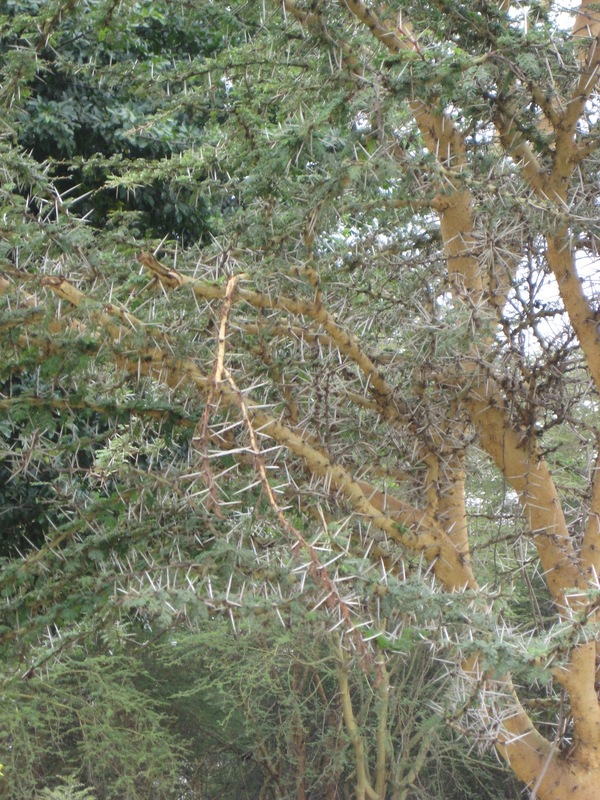 Yellow barked acacia or fever tree is a different variety, again widespread in eastern and southern Africa; near lakes and rives (we have seen in plenty in Nakuru and also widely planted in Nairobi). 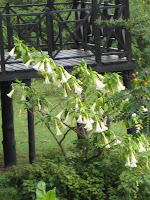 The inverted bell flowers are called Brugmansia.